Firebase is a mobile and web application platform supporting developers with various tools and services to build high-quality app. 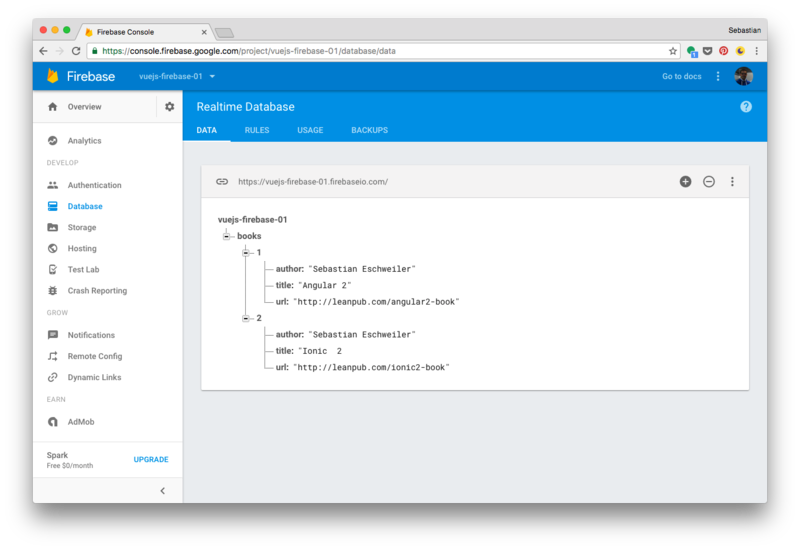 A central feature of Firebase is the realtime database. By using the Firebase API the realtime database can be used to store and sync data across multiple clients and platforms. The Firebase website is available at: https://firebase.google.com/. Firebase is a perfect match for Vue.js. The realtime database can be used as a backend for the view layer which is implemented with Vue.js 2. 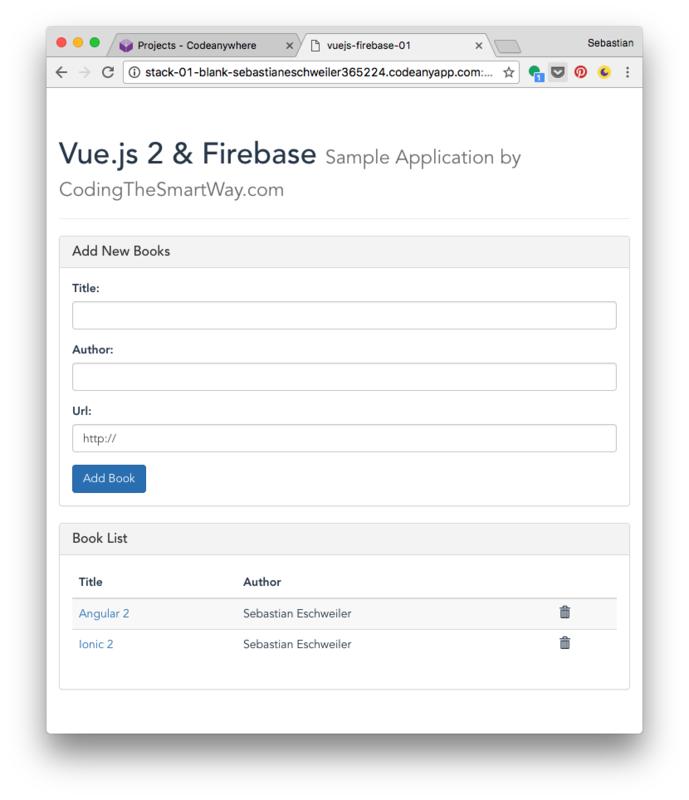 To integrate Firebase services with your Vue.js 2 application The VueFire library can be used. 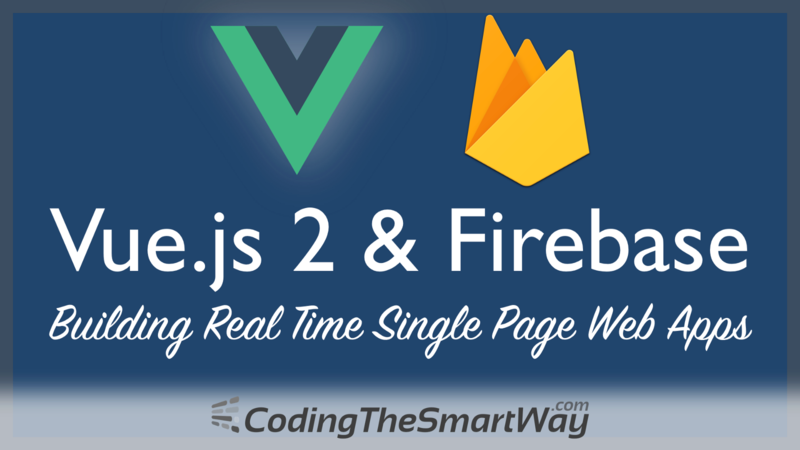 In the following you’ll learn how to set up a Firebase realtime database and bind to real time data in your Vue application by using this library step-by-step. That’s a simple book manager application printing out a list of books (with a link to the corresponding website). The books data are retrieved from the Firebase database. The user is able to add new books to the list and delete existing entries. The data is stored inside a Firebase database and all database operations are synced in real time across all application instances. 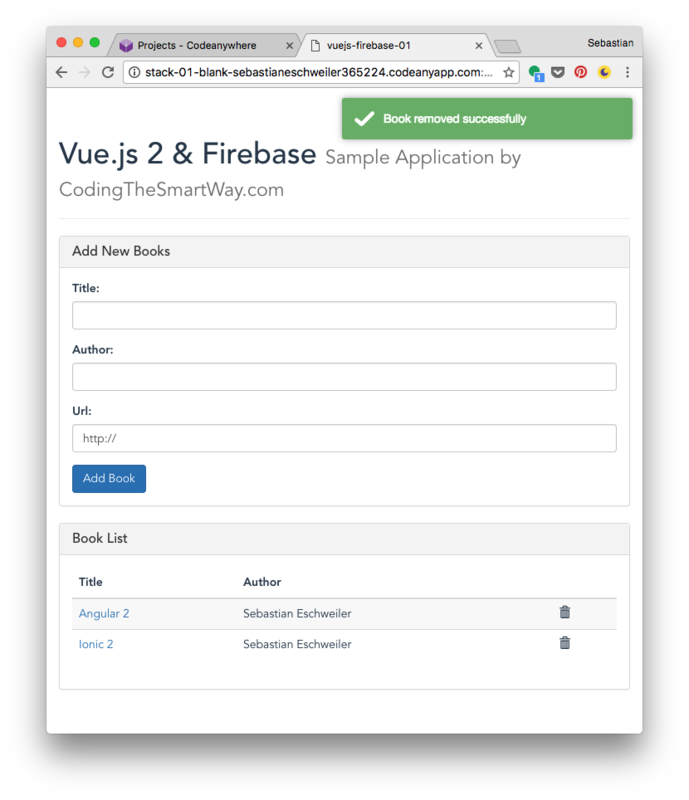 Before starting to implement the Vue application, we first need to setup the Firebase real time database. As you can see the data in the realtime database is organized in a hierarchical tree which contains nodes and key-value-pairs. This is similar to a JSON data structure. Under the root node add a sub node items. Under items create a few key-value-pairs like you can see it in the screenshot. We’ll use these data elements in our sample application later on. Now read and write database access is possible without authentication. This makes sure that all dependencies are downloaded and installed into the node_modules subfolder. 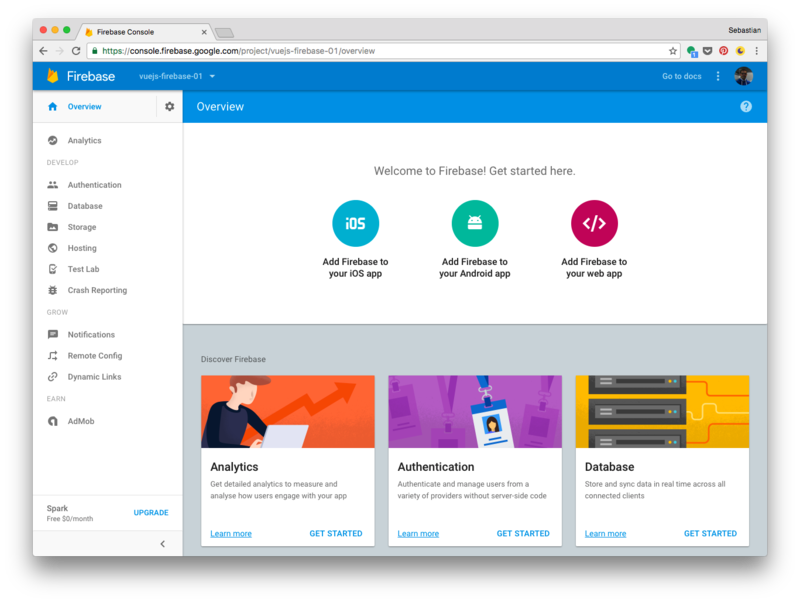 First, we’re importing Firebase from the core firebase library. To create an Firebase instance we’re using the factory method initializeApp. This method expects a configuration object containing the following properties: apiKey, authDomain, databaseURL, storageBucket and messagingSenderId. The property values needs to be set according to the Firebase project which has been created. You can retrieve the values from the Firebase console very easily. 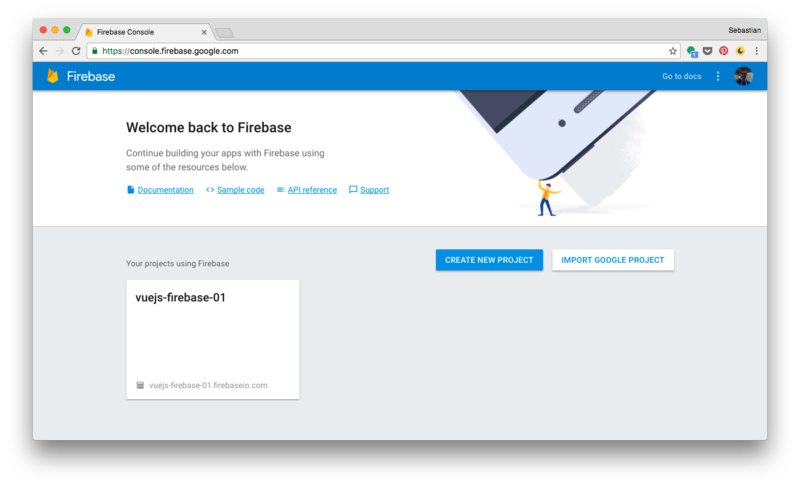 Open the project overview page and click on the link Add Firebase to your web app. In the opening pop-up window you get a prefilled config object in JSON notation. Just use v-for directive to iterate over the elements available in books in generate a new table row for each book item. The HTML form consists of three input elements for book properties title, author and url. By using the v-model directive the newBook properties are bound to the corresponding input controls. By using the v-on directive the submit event is bound to the event handler method addBook. To implement addBook add a methods property to the component’s configuration object and assign an object containing the implementation of addBook. As we’ve used data binding to sync the value of the form input controls with the newBook object, we’re able to use this object within addBook and pass it the call of method booksRef.push. This inserts the new books object into the Firebase books node and syncs the data across all connected client instances of the application automatically. To delete a book element from the Firebase database we’re first selecting the book node by using the child method. This method is expecting to get the key of book element which should be selected. We already have access to this information via book['.key']. Finally we need to call remove() on the returned book object to delete it from the database. For the final touch we’re adding the Toastr library to our application to present a toast notification each time a book is deleted. Vue.js 2 makes it easy to implement the view layer of single page web application. As Vue makes no assumption of the backend technology, it can be used together with different application stacks. If you want to have real-time data synchonisation in your application Firebase is a great option for building your backend.